I awoke to the rustling of other fellow backpackers. 5 – 6 land rovers, mini-vans and Jeeps were parked stationary outside of the dormitory, awaiting to transport us to Northern Uganda in pursuit of seeing ‘The Big Five’, exploring waterfalls and scouting through National parks. There were seven of us and my group consisted of a mother and daughter from the UK, a German couple, two Irish friends and myself. We boarded the minivan with our driver/guide, Hussain, in anticipation of our journey ahead. 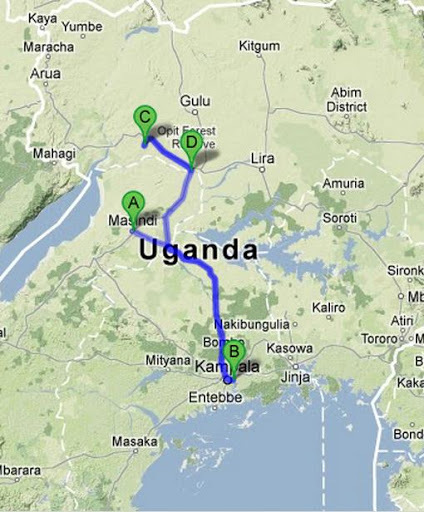 We drove 3 hours up to Masindi in central Uganda, where we stopped off for refreshments. 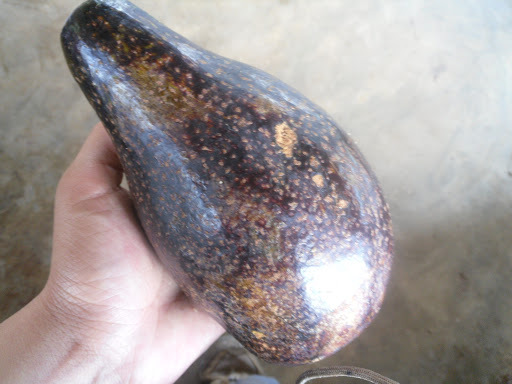 I brought a large avocado, a fruit that is prevalently grown in the country, and two chapattis. 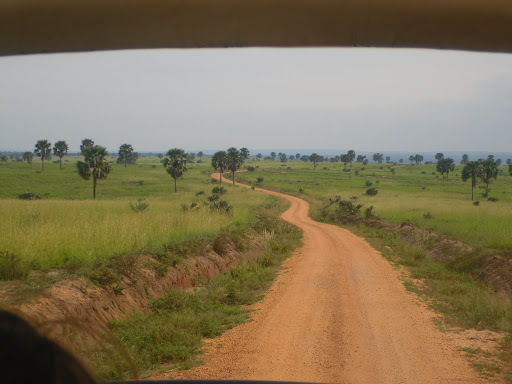 We drove on and as we got closer, I saw impromptu road signs, directing us to Murchison Falls. We soon turned into a carpark, where I could hear the roar of the water in the background and the sight of a river with light tufts of foam floating through. The first thing that struck me as different was the heat. I squinted in the sunlight, as we made our way to a large concrete bandstand. Our group sat having lunch, where the bandstand shielded us from the sun and the open plan design provided us with a panoramic view of the river amongst green hills. Our group soon set off with a guide at hand. I noticed the ground glittering with small silver rocks. It was explained that the ground shone as a result of the minerals in the area. After a light ten minute stroll, the day proceeded with some of the most beautiful waterfall sites I’d ever seen. 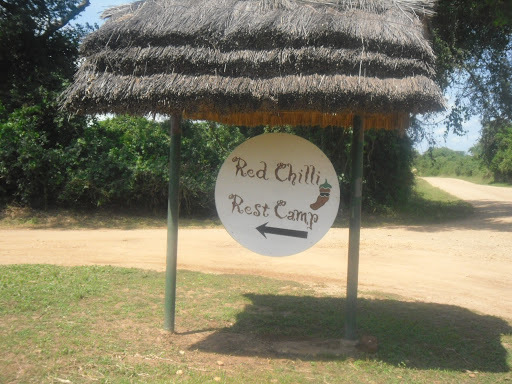 After our walking tour, we drove straight to ‘Red Chilli’ rest camp, a campsite situated within the National Park. Warthogs wondered freely around the area, a large, open fire burned a night and a characteristic, open circular bar buzzed with travellers. I spent the evening with the mother and daughter (Tiffany and Hayley) from the UK after they invited me for dinner. I think Tiffany found it a little difficult to comprehend that I was travelling solo in Uganda, as her daughter was the same age as me. I soon retired to bed after Day 1 on tour, ready to rise up early at 5:30am the next day for a safari at sunrise. We departed the campsite early, driving down to a river crossing just five minutes away. 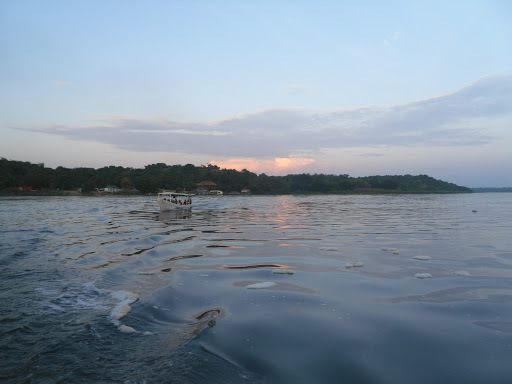 At the mini seaport, a collection of mini-vans, tour groups, motorbikes and people clustered upon a large open metal square with an engine attached to the side, all of whom awaiting to cross the river in order to get to the Kichubanyobo entrance gate of the National Park. After the crossing and a firm warning of not to feed the animals, “the monkeys will fight with you!”, we drove through the National Park, witnessing a large array of animals from hippos, to elephants, giraffes, monkeys, reindeer type creatures and buffalos. 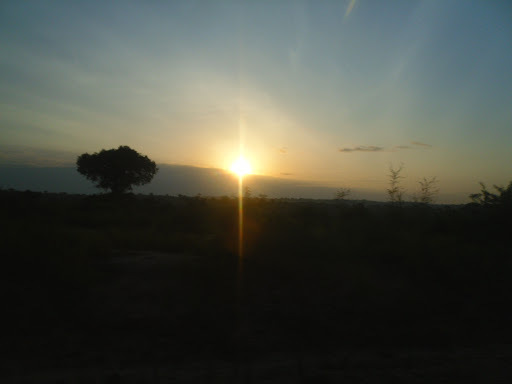 I felt at peace driving through murchison, where sandy dirt roads weaved through open plan uncultivated greenery. 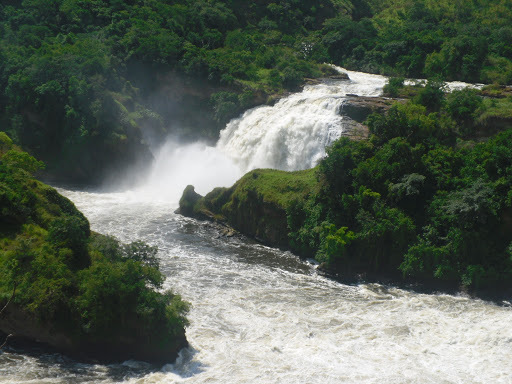 Trees, hills and the River Nile provided a backdrop characteristic of Africa. Mid-way through our safari, a bright coloured red bird flew straight into our windscreen. We weren’t driving very quickly, probably around 30mph. 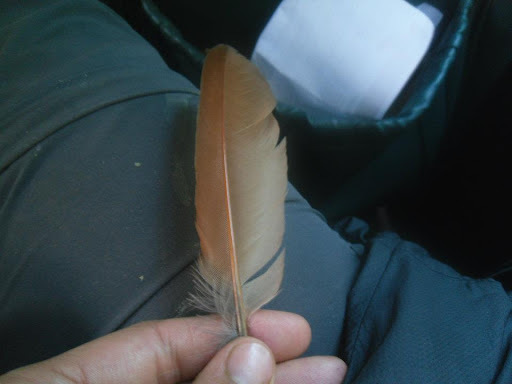 My window was open and one of it’s feathers dropped straight onto my lap. Although it flew away straight after, I did feel bad for the poor thing. 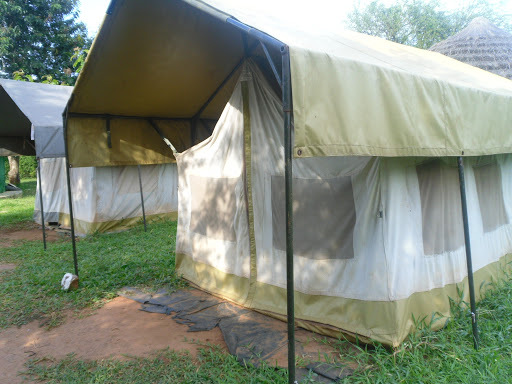 We wrapped up the day with a return to Red Chilli campsite in the early evening, highly anticipating the boat trip up the River Nile to the foot of Murchison Falls the next day. 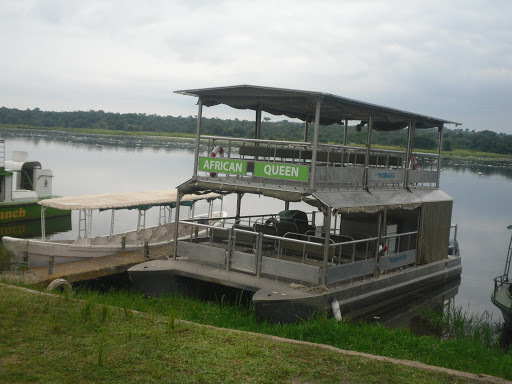 I boarded a boat called “African Queen”. 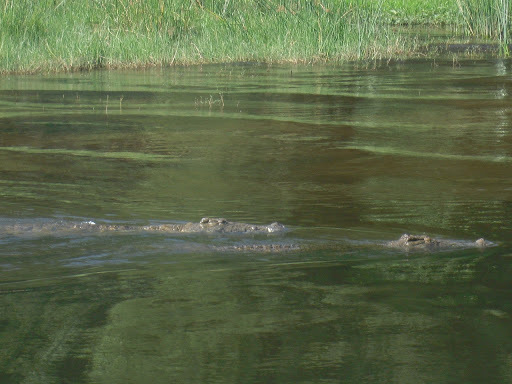 We meandered up the River Nile, encountering crocodiles, elephants, water buffalos and tropical birds. Large tufts of foam floated through the river as a result of the waterfall. 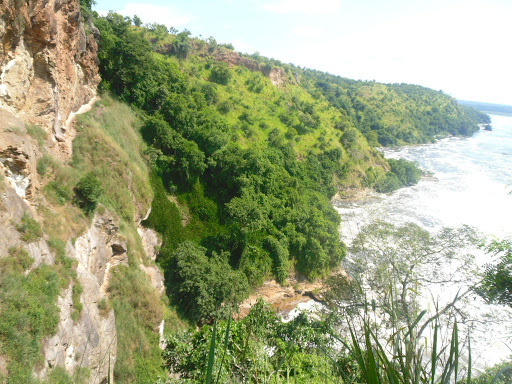 The boat stopped around forty metres away from the waterfall. The tour guide announced that it would be dangerous to drift closer, due to the power of the water channeling through the narrow rocks. Before we left, we were given the opportunity to climb out of the boat onto rocks in the middle of the river for photos. It had been an incredible two days. The African safari that seemed so distant. The speculative experience that derives from imagination, media and books. I was able to pin a reality to the African safari experience I’ve always dreamt of. And yes, there are real giraffes outside of zoos and elephants still roam freely. 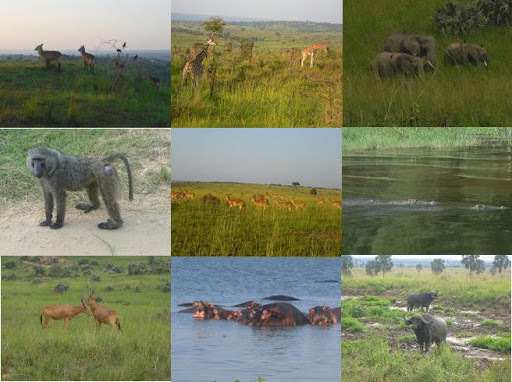 I experienced just a snapshot of the national parks of Africa and I wish for conservation to be everlasting. 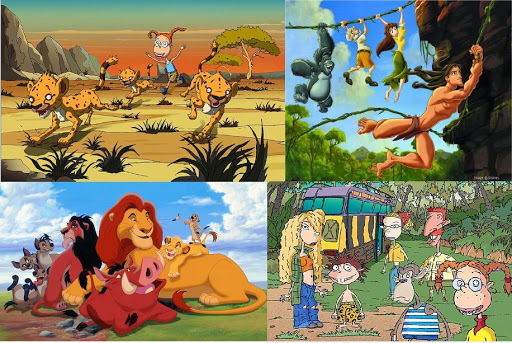 An odd phenomenon: the ability to recall in vivid detail the childhood cartoons we watch. I’ll close this entry with my trip tips and a typical, yet classic scene from Disney’s The Lion King. 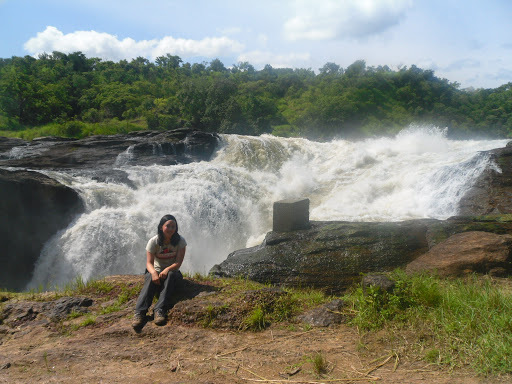 I paid $270 (£175.00) for the 3 day safari/waterfall trip with Red Chilli Hideaway, inclusive of transport, accommodation and all activities. Food/drink is not included. Bring as much water as you can (you can put it at the back of the people carrier you travel in). The price of the water at Murchison is x2/x3 more! The meals are a little expensive compared to Ugandan standards, at around 9,000 USH for dinner. 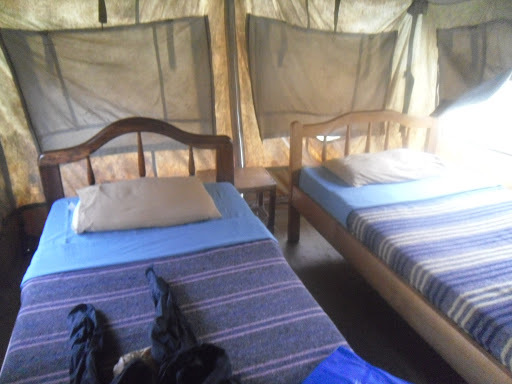 I left my mosquito net with my host family, luckily I got very few bites sleeping without one in the national park. I paid the full balance via a bank transfer, don’t forget to claim a free night in the dorms at Red Chilli, as the departure time is early (around 7:00am). Bring a torch, we were given lanterns but I was grateful I brought a hand torch for reading at night. Watch out for warthogs! One started pushing against my tent door in pursuit of food. According to the employees, they will tear apart belongings for the smallest crumb of food.